We undertake to re-process free of charge any article considered unsatisfactory and to compensate fairly in any case of loss or damage. 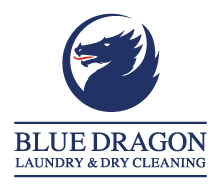 We reserve the right to accept or refuse any items we consider not suitable for processing by drycleaning or in the commercial laundry environment. All items are washed or drycleaned with great care and as per the manufacturer’s aftercare instructions attached to them. We will not accept responsibility for the condition of items that have been affected by general wear and tear, which includes fading, disintegration due to age, and atmospheric damage caused by ultra violet rays, and which may become apparent during the processing of the article. Relaxation shrinkage may occur during the processing, and this is caused by the giving up of the latent strains to the material in manufacture. BRITISH STANDARD 5867 Part 1 allow up to 3% for a natural relaxation in the material. This shrinkage is beyond the practical control of the Customer and the Drycleaner and Launderer, and is the responsibility of the manufacturer. We are also members of the TSA (Textile Services Association) and adhere to their current codes of practice. Registered office for Blue Dragon Drycleaners Limited and Blue Dragon (Hillingdon) Limited is Orford House, Whiteleys Parade, Uxbridge Road, Hillingdon Heath, Middlesex, UB10 0NZ.